The Secret to a Better Life, One Word at a Time. 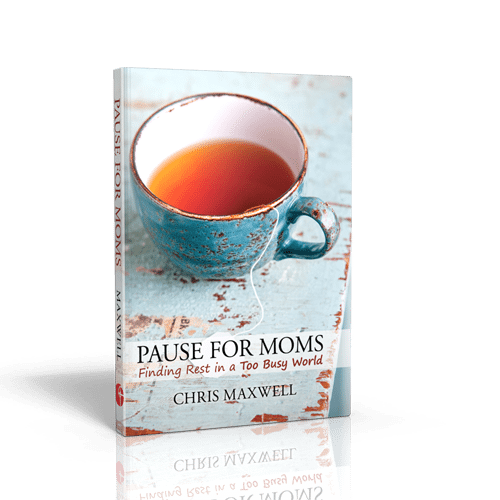 Pause with author Chris Maxwell as he explores a collection of words. Words of wonder, confession, hope, longing and dreams. Words we often rush past, rather than taking time to ponder their meanings and true value. Immerse yourself in each story. Ponder and meditate on each reflective word. Reconnect with life and all it has to offer. Pause. With one seemingly ordinary word at a time, the everyday actions of life are illustrated in such an insightful and transformative way. Each action word will offer an invitation to readers to venture along the path of reflection and renewal. I highly recommend reading this book attentively and expecting a life-changing encounter with our heavenly Father. I recommend this book to people who need to stop and consider what God has done and is doing in their lives. Instead of focusing on the hurried pace in which we all live and what we have to get done, this book reminds us to stop, take a deep breath, and be reminded of the goodness of our Creator. Chris Maxwell is a master with words. In his book “Pause: The Secret to a Better Life, One Word at a Time,” he teaches us the power of living in the moment, and the importance of nurturing “the slower pace of life.” He aptly demonstrates that life is better understood and embraced, when faced – one word at a time. Are you too hurried? Need to slow your pace? Then this book is for you! For me, it best describes the “missing piece”-in a fast paced PostModern world. Very refreshing. I great reminder to Pause and reflect, on the importance of life. I greatly enjoyed it. Take a moment to savor today. Pause is definitely a book that gives the secret to a better, more peaceful life one word at a time. I have had the privilege of knowing Pastor Chris personally, and he not only writes inspirational words on how to pause and live a better life, he also demonstrates it in his own life. Pause has blessed me in so many ways, and is not a book to be read through quickly. Each page should be read slowly and meditated upon. Each page has penetrated my soul and taught me personally how to pause, breathe, relinquish, and enjoy the life God has intended on me enjoying. This book is not any book one can read just one time and be effected; it must be read time and time again. There is always something new to learn, or something there to remind us once again. Today’s society is so fast pace that we very rarely stop and enjoy life. Many of us live uptight and moment to moment without enjoying each moment. This book is a must read for everyone!!! It will really teach you how to ‘pause’ and enjoy! This book is really amazing. It is very simple and easy to read. This book really help me a lot. It has a lot o practical things so our spiritual life is healthy. One of the best chapters in my opinion is the one of Balance. I think in every Christian life we must find a balance to do everything. But also we must understand that everything we get to do is for God. I really love this book it helps my life and is going to help me help others. I recommend this book very much..!! Chris Maxwell’s experience as a campus pastor comes through in the warmth of his narrative writing style, and his ability to quickly grab our attention. In a world challenged with information overload, he takes a pared-down, simple, action verb and refocuses our attention to see life differently. Read each chapter from front to back, or leaf through them to see which title causes you to pause and notice. Don’t be surprised to discover that his ability to encourage a slower pace, actually propels you forward in profound ways of appreciating the nuances of how God speaks. Savor each chapter. Receive each truth from Scripture. Respond to each challenge, and see your life transformed. First of all I want to thank Christ Maxwell for writing this book. His writings have inspired me so. His everyday experiences and dealings with people and situations have led me to reflect and want to help others. The way I can do that is to recommend this book to everyone to read and read it again. What to say about Pause? It’s something many of us don’t take time to do and Chris shows us the importance of doing just that in this book. Really makes you stop and take a breath and to slow down and think about what is important. I love how he does his one word a day, sometimes reading can be overwhelming and take up too much time. With the way Chris has it you don’t have to read it all in a day. ‘Enjoy the journey.’ I’ve heard my good friend Chris Maxwell say this many times. 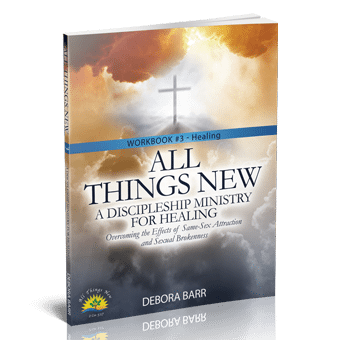 In this new book, he takes one word at a time and shares how to do just that. Life is precious, and few people understand that like Chris does. I encourage you to check out his life story, too. This is a beautiful book. His best yet. Each word was carefully chosen, and I always come away feeling loved, refreshed and inspired. I love that he leaves the readers with thoughts to reflect upon. It’s a great gift for a special occasion or ‘just because.’ And it’s a great gift to give yourself. I highly recommend it. Check it out! 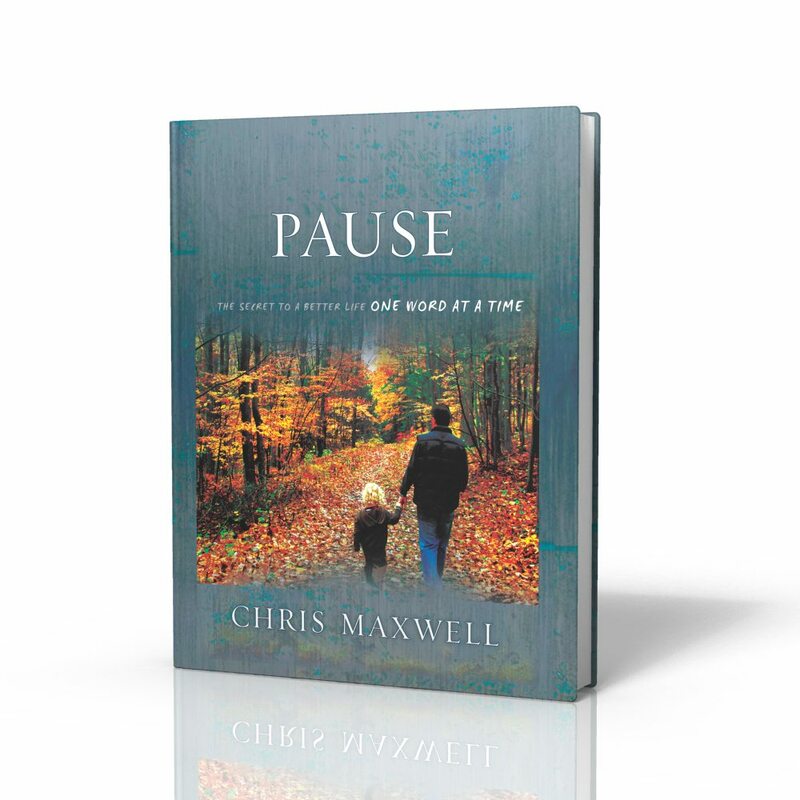 One of Chris Maxwell’s recent Facebook updates perhaps sums up the purpose of his most recent book, Pause, the best: “Take a moment. No music, no screen, no plans, no text, no busy-ness. A moment of being, not doing. Pause for a moment and breathe.” Pause isn’t Chris’s attempt to preach to a captive audience of readers. It’s not an explicit attempt to convert, instruct, or inform. Pause is Chris’s pastoral care in book form. It’s his attempt to give us all, just a little bit, what we most need every day: a respite from worry about all of the little things that crowd our minds and lives and relationships so that we can pay deliberate attention – maybe just for three or four minutes, as none of the readings are very long – to the things that matter most but are most easily forgotten. This work, organized around the simplicity that it attempts to foster in its readers’ lives, focuses each reading upon a single word, a single idea, that we often take for granted, but that we could experience more richly and fully should we stop to think about it. Words like Accepting, Balancing, and Celebrating. Or Doubting, Dreaming, or Releasing. Chris mixes meditations with storytelling to give his readers what his years of pastoral care have taught him that they need the most: just a few minutes to stop and think about what’s really important every day. Pause is Chris’s gift to his readers and an investment that we would be wise to make in ourselves. I really can’t think of a better way to describe this book, except that it is GOOD. Maxwell writes just like he talks to people from day to day: conversationally. 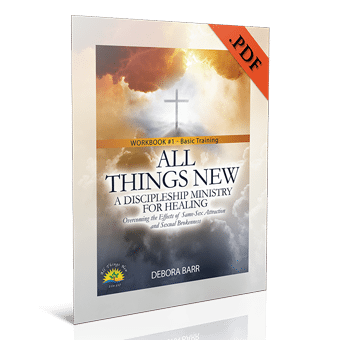 This book is great for a gift, daily devotions, or just reading anytime. Each one of the topics he covers in this book is practical and deals with a part of my life. It challenges me and also prepares me for what might be to come! Pause is a must read for anyone living the typical American lifestyle. It challenges one to not lose God in the hustle and bustle of life. The short chapters make for a great daily devotional. It has helped me to Pause each day and not miss the essential God moments in everyday life.